Karma. Quote from the show. 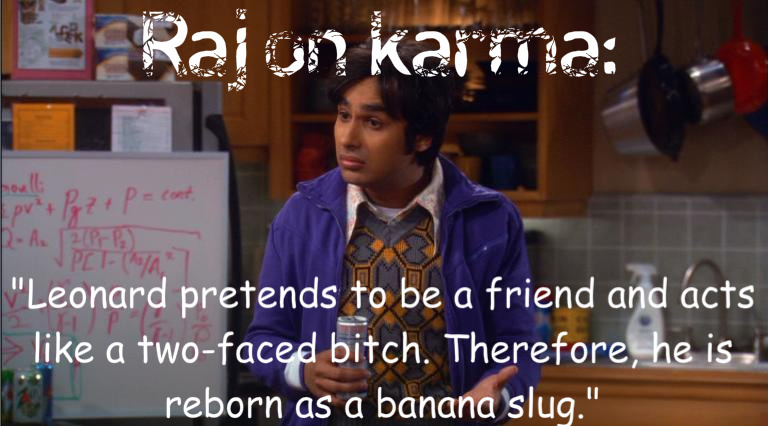 Wallpaper and background images in the The Big Bang Theory club tagged: the big bang theory fan art quotes raj karma.